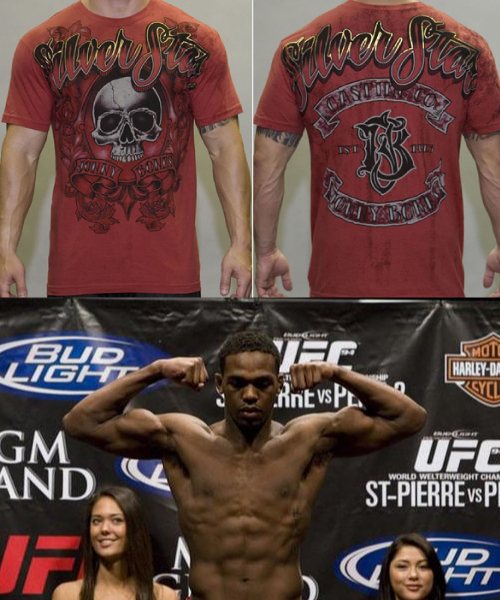 Above is the new Silverstar Jon Jones shirt for UFC 100. Jon Jones is the undefeated “rising star” in the UFC light heavyweight division. At 8-0 he is definitely a formidable opponent. He reminds us of Rashad Evans and Lyoto Machida in their quest to the championship. Jon Jones is a young gun, currently only 21 years old, but he amazingly brings a very aggressive and technical style to the division. 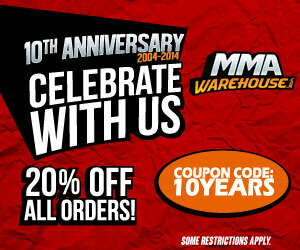 This was proven against his recent win over top fighter Stephan Bonnar. Now Jon “Bones” Jones is ready to “wow” the crowd again with his upcoming UFC 100 fight against Jake “the Irish” O’brien, this could be one of the fights that really makes for a high-impact event.